The IS move comes months after the Al Qaeda came to the J&K scene last year with Zakir Musa, a former Hizbul Mujahidden commander switching allegiance to head the outfit in the State. 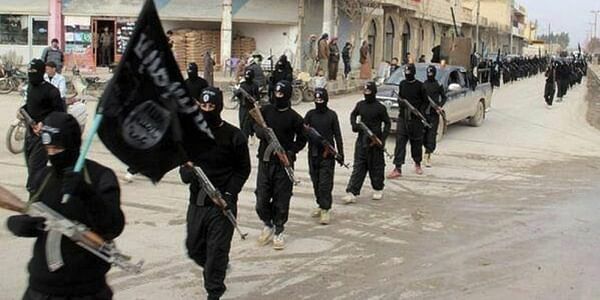 NEW DELHI: International terror outfit Islamic State seems to have officially announced its foray in Jammu and Kashmir, a development that can lead to rivalries between IS and Al Qaeda in the strife-torn State where the latter already has a significant presence in the face of backing from Pakistan’s covert agency Inter-Services Intelligence and its affiliated terror groups active in the Valley. A recent Intelligence report on “Spread of ISIS ideology in Kashmir” says a twitter handle @JackMoosa posted message with posters on October 23 regarding ISIS officially announcing formation of its first group in Kashmir with a local terrorist ensuring his allegiance to the outfit. The IS move comes months after the Al Qaeda came to the J&K scene last year with Zakir Musa, a former Hizbul Mujahidden commander switching allegiance to head the outfit in the State under the banner of Ghazwat-ul-Hind. Supporters of both Al Qaeda and IS have in the past waved their respective flags during protests in the Valley. Musa had joined Hizbul Mujahideen in 2013 and was made the outfit chief commander in the State after the liquidation of Burhan Wani by the security forces last year. “Social media analysis indicates that a twitter handle @JackMoosa posted a message with posters on October 23, 2017, regarding ISIS officially announcing their first group in Kashmir. The twitter handle @JackMoosa claimed that the message shown in these posters was originally by pro-ISIS Telegram channel ‘Waliyah Kashmir. The message content reveals that a local terrorist from Kashmir would assure his allegiance to ISIS very soon. This twitter handle also released a promo picture of upcoming video ‘ Bayah from Kashmir to spread Islamic State’s ideology in Kashmir,” reads the Intelligence report. Officials in the security establishment said Musa along with a number of terror operatives had left Hizbul Mujahideen due to the highhandedness of the Pakistan-based chief Syed Salahuddin. Musa’s desertion from HM ranks had weakened the outfit’s strength significantly in the Valley and a number of its operatives have already been gunned down by the security forces during targeted encounters. “Apparently, more operatives of Hizbul are switching allegiance due to the arrogant style of functioning and might have contacted the leaders of Vilaya Khorasan under which India is also under the so called ambit of Islamic State’s terror agenda. The younger generation of the militants seem to be frustrated with Salahuddin’s approach due to which they feel have failed to gain prominence within the terror ranks ,” a senior Intelligence official said. Assessments suggest the Islamic State could be aiming to hit senior militants and separatist leaders to establish roots in Jammu and Kashmir. Unlike the Al Qaeda which targets the security forces, the IS is known to target exiting leadership wherever it seeks to establish itself. In the past, Jammu and Kashmir has witnessed killing of militant and separatist leaders whenever a change in the leadership of the militant groups has been effected. Separatist leader Mirwaiz Umar Farooq’s father was also killed by the militants, Mirwaiz has himself been hit thrice by militants in failed bids to target him. The IS has already registered a significant presence in the hinterland, especially in South Indian States and a number of youth have been radicalised to join the group.